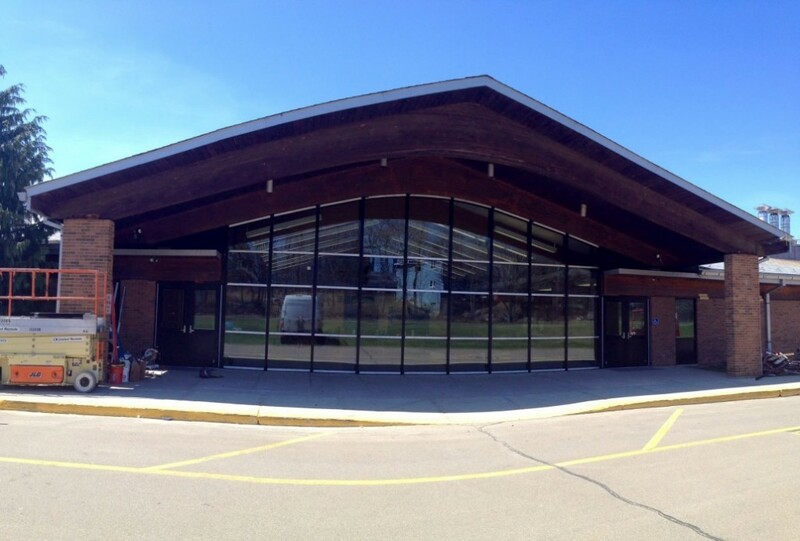 Below is a running list of all of the education projects New England Glass Co. has completed. Please see the "READ MORE" link on the top right of every listing to learn more about the project. 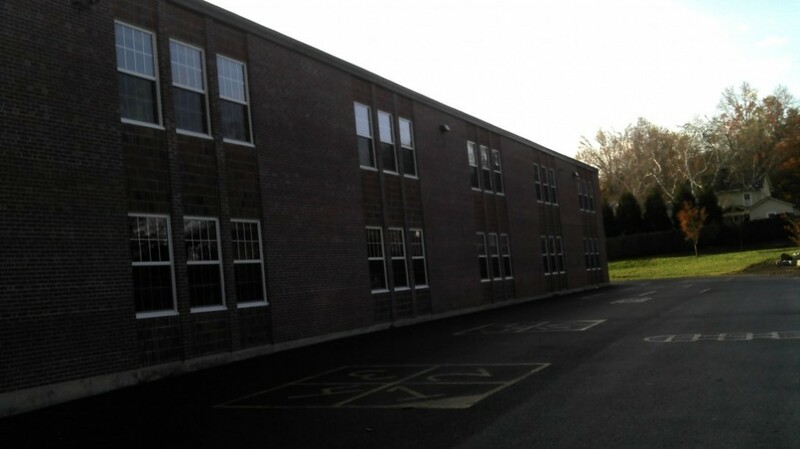 As stated, above is a running list of the education projects New England Glass Co. has completed. NEGM is happy to assist you in any education or school based project. Typically we understand the timeline of these projects fall in the summer or over winter or spring break. 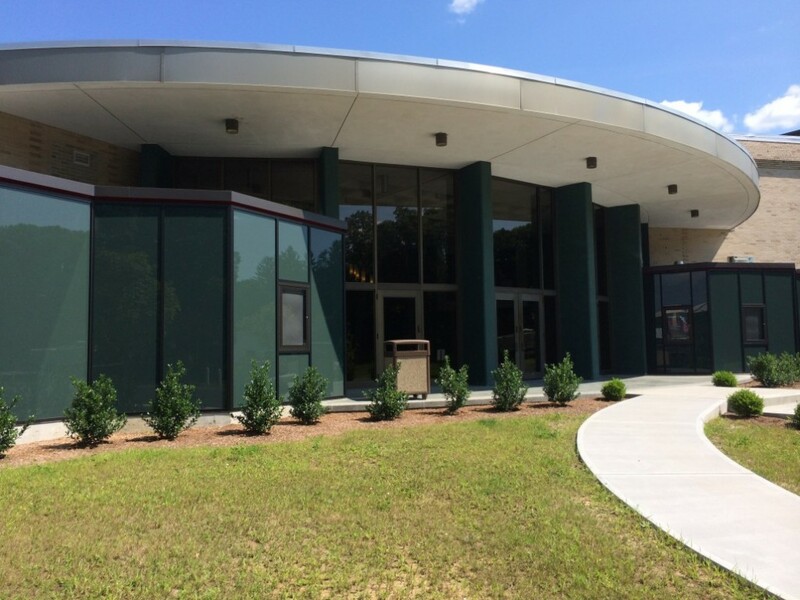 Shown above, some of the projects we completed include the Avery Point Student Center, exterior window openings and main entrance at Salem School and a large curtain wall opening in the cafeteria at Cox School. 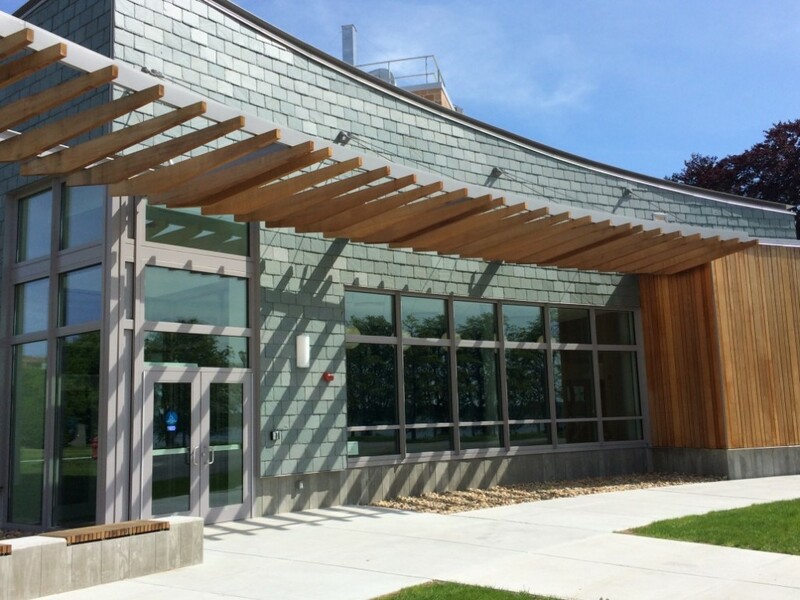 Additionally, we installed storefront at Hyde School with exterior display cases intermixed. One of our first sunscreen projects was at URI at the Athletic Center a few years back. 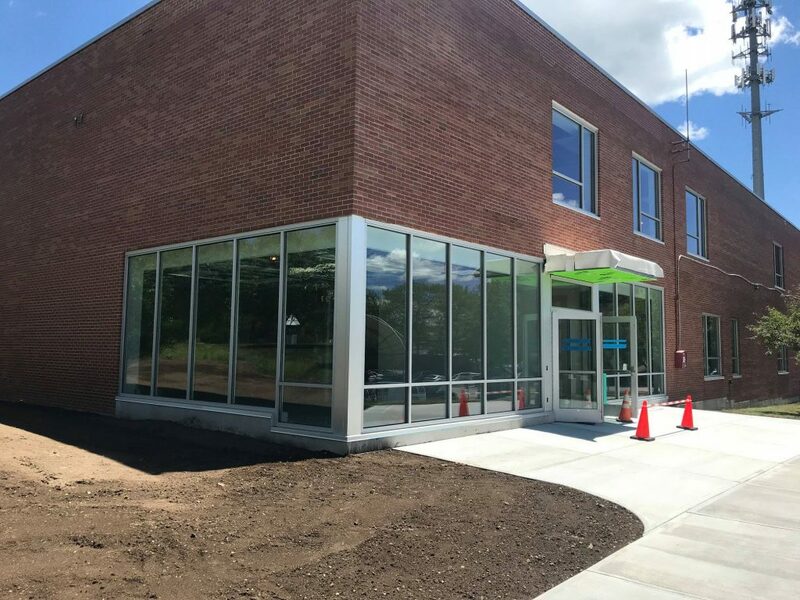 Now NEGM has become very experienced in the engineering and installation of sunscreens on storefront and curtain wall applications. Sunscreens have become a popular product in the industry over the last 10 or so years. Energy efficiency and the awareness of light transmission on buildings has become a popular topic. There are many different forms and series lines for sunscreens but their main goal remains the same. 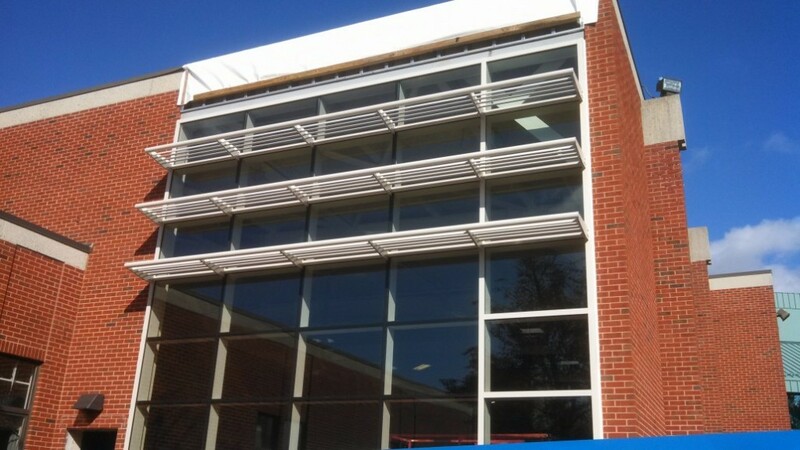 They assist in shading while allowing for large glass openings to appeal to the desired look of a building. The shading works to ward energy efficiency and in-turn, vast cost savings. 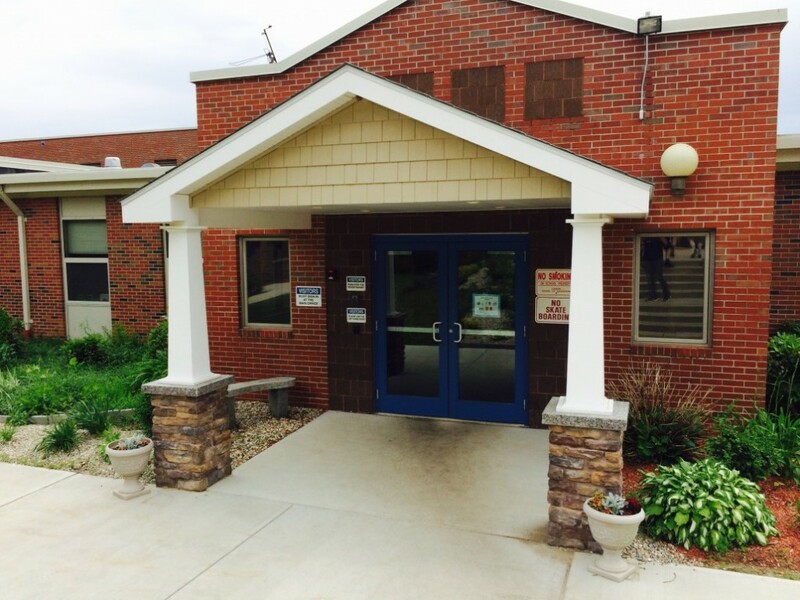 Typically once you begin working with a school or set of schools, they remain somewhat loyal and continue sending work your way, whether it be replacing units, renovations to existing portions of the school or new schools or additions. There will always be a need for education buildings and there are so many in our area that it is a great sector to be involved in.